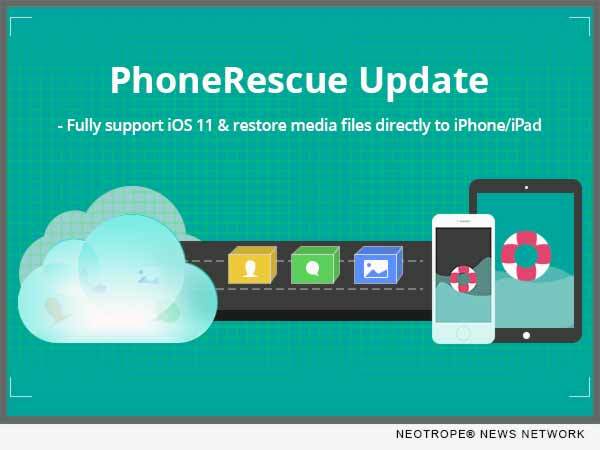 LOS ANGELES, Calif. /California Newswire/ — iMobie Inc., a leading iOS and Android software developer, today announced its top-notch data recovery software PhoneRescue now is able to download and restore iCloud backups in iOS 10.3 or later, even for the latest iOS 11. With its minimalistic yet refined UI, users can choose to only download what they need for recovery, and all data will be kept 100 percent safe and secure. Engineered with cutting-edge ForceRestore technology, PhoneRescue now comes to market as the world’s ONLY solution to restore not only personal data, but also media files like photos, videos and more directly to iPhone/iPad. Along with the new support for Kik and its attachments, it also becomes the world’s ONLY technique that is capable of retrieving up to 31 types of data and files, covering messages, contacts, notes, WhatsApp and more. Supporting 31 types of essential data and files, PhoneRescue is also the world’s ONLY software that offers the maximum data recovery type in the industry, completely surpassing all rivals on the market. Up to now, the mainstream chat apps like WhatsApp and Kik, as well as their attachments are supported, and Viber will be added soon.